4Media YouTube to iTunes is a smart tool for YouTube video downloading and converting, it solved the problem of too many steps from YouTube to iTunes perfectly. With it, you can download and convert any YouTube videos to iTunes in one step, and then sync them to your Apple devices conveniently. Besides, all formats compatible with iPad, iPod or iPhone are supported. Enjoying the YouTube videos on iPod, iPad or iPhone has never been so simply. Download and convert YouTube video to iTunes in H.264, MPEG-4 or MP3 format in one step with 4Media YouTube to iTunes Converter. 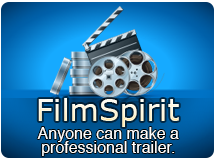 Simultaneously get the YouTube FLV files to PC and the converted videos to iTunes. It also supports to convert FLV files from local disk directly. 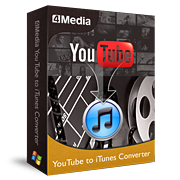 With 4Media YouTube to iTunes Converter, you can easily download and convert top to 10 YouTube videos in batches at a time. All iPad, iPod and iPhone formats supported, and the latest iTunes 10.7. With Multithreading and batch conversion tech, you can download and convert YouTube videos at high speed with this software. From IE's right-click menu or the built-in browser, both can start downloading and converting YouTube videos directly. Setting up the proxy in "Settings" from "Tool" in the menu, you can download the YouTube videos easily via proxy server. More than one mode to view the tasks, show them in thumbnail or in list to get the detail info. Max simultaneous tasks, download speed and priority level are all could be set freely. English, German, Japanese, French, Italian, Spanish, Simplified and Traditional Chinese are available for the interface language.